Our family has been trying to eat healthier as I mentioned in our Healthy Popcorn Balls article. 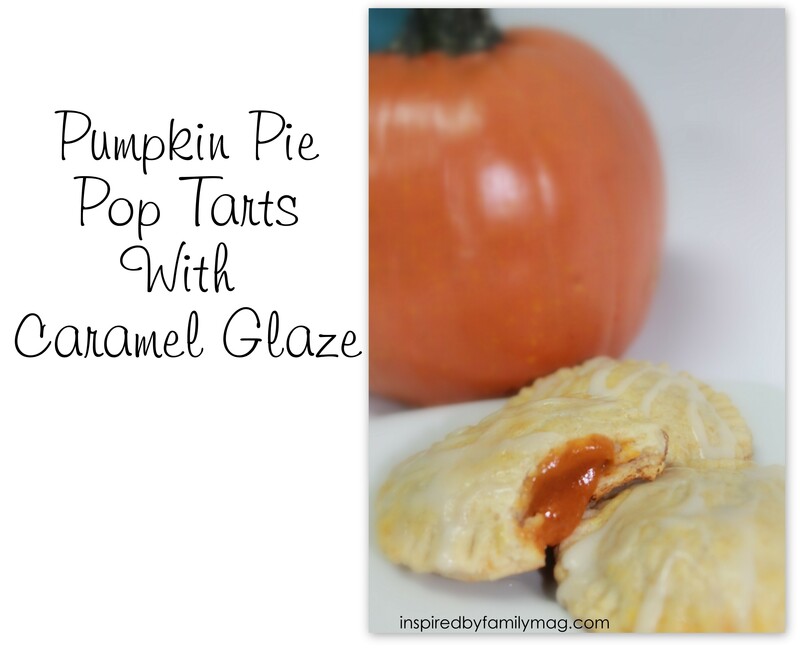 Since it’s Fall and I love my pumpkin, I decided to experiment and make these tasty Pumpkin Pie Pop Tarts with Caramel Glaze. 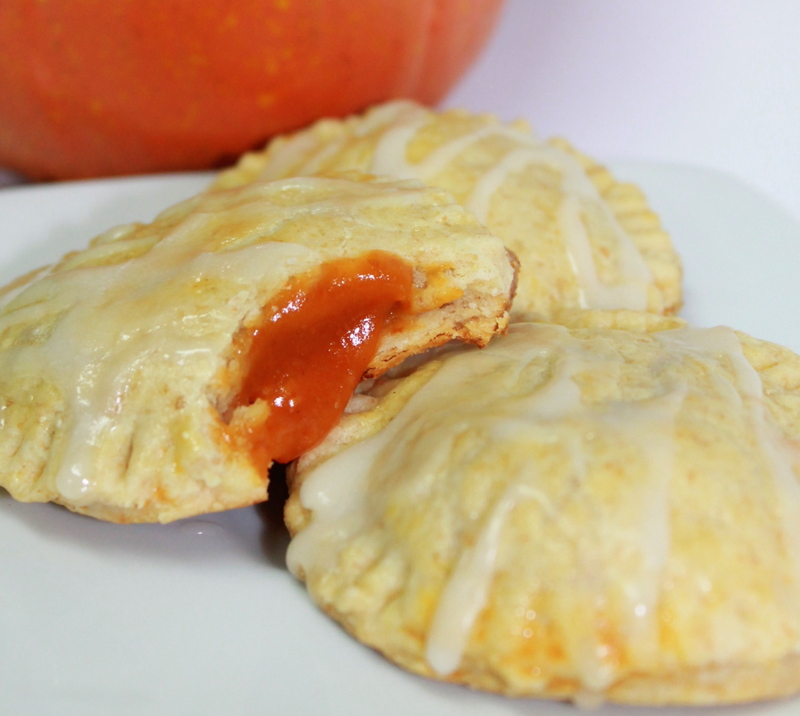 The pastry on these bad boys is made from whole wheat and the inside is just pumpkin puree. I didn’t add sugar to the pumpkin puree because I knew it was going to get drizzled with some caramel glaze and that would be more than enough sugar for us. You can also leave out the caramel glaze, for a healtheir option. I tried one without the glaze and it was good. You can also try this Low-Fat Caramel Sauce for a healthier option but it won’t solidfy like the powdered sugar recipe below, it would be great for dipping though. I seriously could eat 2 or 3 of them in one sitting, don’t worry I showed some self-control. I used to think making my own pastry dough was hard but it really isn’t. I am so glad I finally tried it because I was proven wrong. The great thing about this easy and healthy breakfast option is that you can make as many as you want and freeze them for about 6 months. 1. Add flour in a large mixing bowl. 2. Then add cold diced butter making sure it’s spread all around bowl not just in one clump. Mix using a pastry blender (important that butter is cold when making pastry dough). Do not over mix, you want to have some chunks of butter in it, like a crumbly meal. 2. Fill a measuring cup with ½ cup water and add a few ice cubes to it. 3. Now add 1/3 cup water (not the ice cubes) through the top of flour mix. Watch the dough come together and add 2 – 3 more teaspoons of water as needed so a dough ball will form. 4. Knead together into a ball, place it in plastic wrap and either freeze it for up to 6 months or for a few weeks in the fridge. 5. If you are ready to use it all place it in the fridge for an hour or two and then take out and place in lightly floured surface. 6. 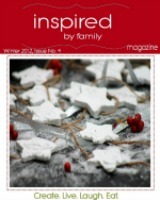 Roll out and use your circle cookie cutter to start assembling. 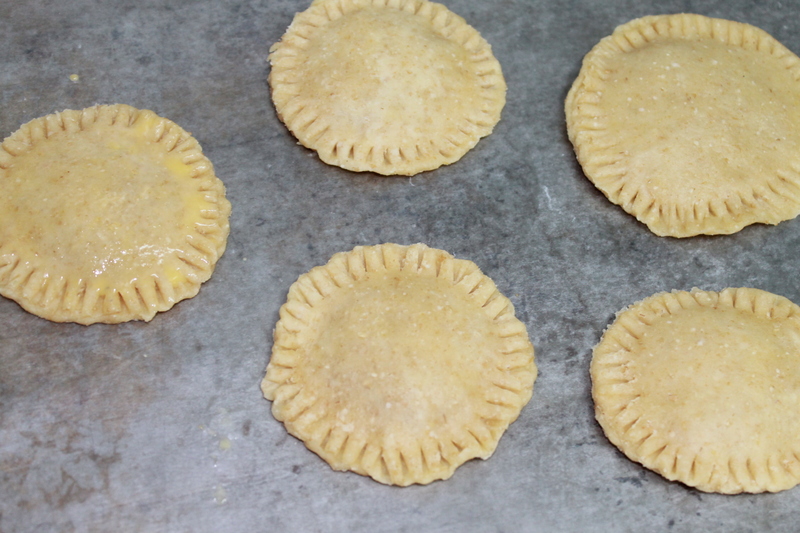 Mix above ingredients in a small bowl and add a couple of spoonfuls in the center of each pastry circle. 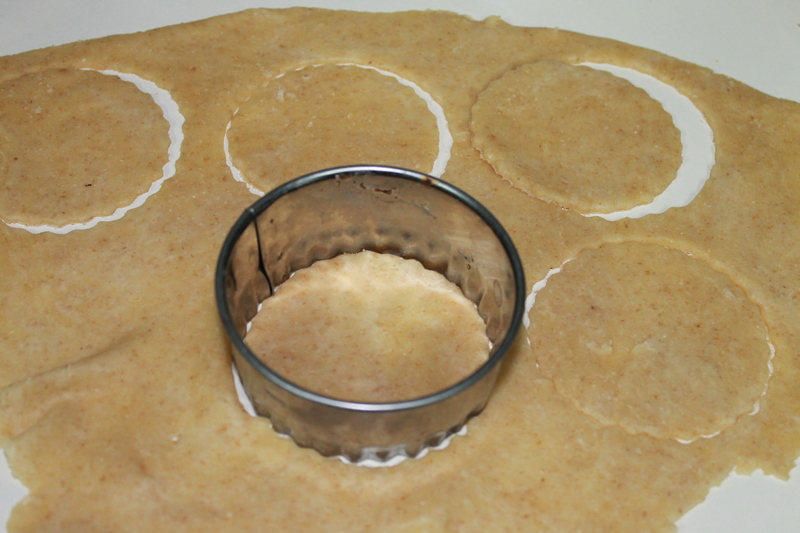 Place another circle on top of the puree and press the end with a fork. I stretched the top circle a bit so I could get it over the pumpkin puree. Brush egg wash over each one to give it a beautiful and toasty glow. Bake at 375 degrees F for 18 – 24 minutes or until golden brown. Once they are cool you will want to drizzle it with Caramel Glaze for a less healthy alternative. Mix all of the ingredients and drizzle over cool pop tarts. Ooh! 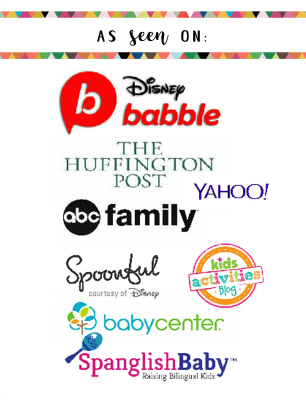 I really want to try these! What a great idea! These would be a yummy breakfast or dessert!